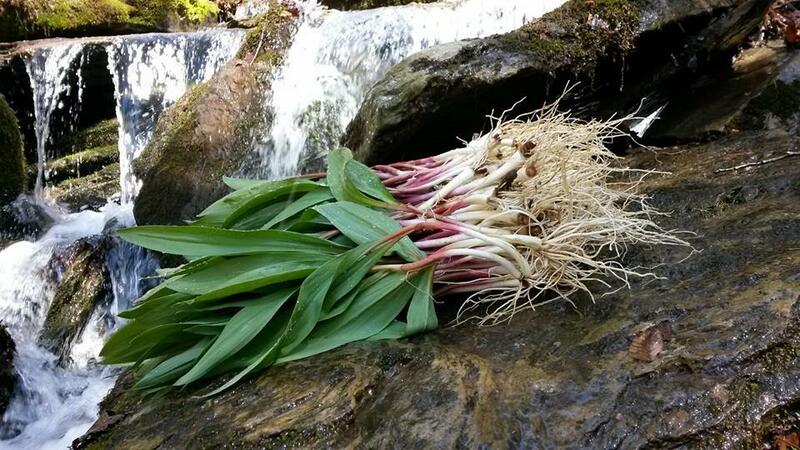 The wild leek, or ramp, is one of the first edibles to appear in spring in Appalachia. Subscribe to Inside Appalachia on iTunes here, or on Stitcher here. In A Coal Town Where Jobs Are Few, Wild Ramps Are Plenty Richwood once thrived on lumber and coal. As those industries fell on hard times, so did the town. Every spring, though, this struggling Appalachian community celebrates its abundance of wild ramps with an event that locals call the Feast of the Ramson. 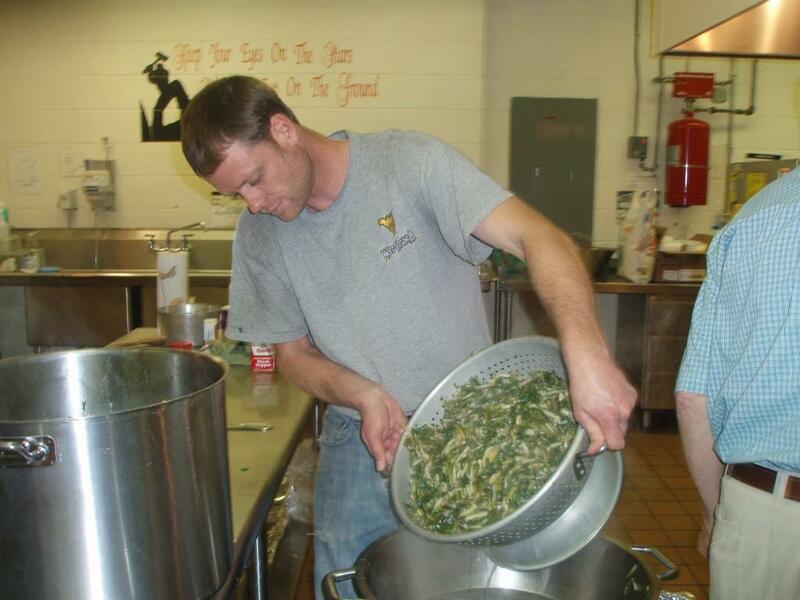 This year, the Feast of the Ramson takes place on Saturday, April 18th at Richwood High School. 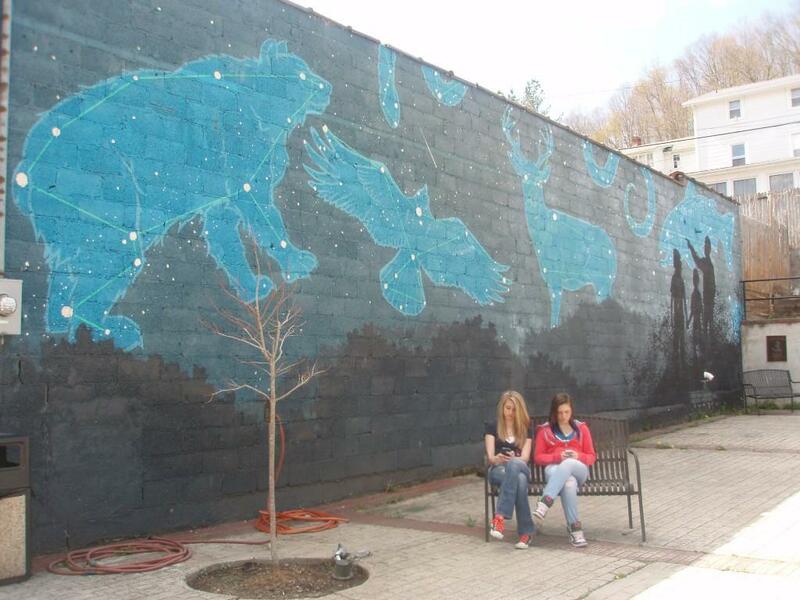 Kirsten Chapman and Teara Stout, in front of a mural in Richwood. If you plan on digging ramps in the Appalachian mountains, we’d love to see your harvest. 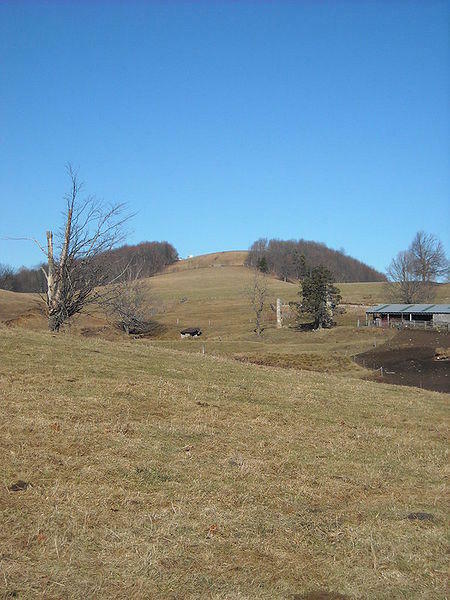 You can show off your ramps over on our Twitter page @InAppalachia. And remember, dig responsibly. One Sunday morning in early June, radio producer Kelley Libby took a trip from her home in Charlottesville to the Cross Keys Ruritan Hall. She wanted to meet and hear the shape note singers who had come in from all over the country, just so they could sing together from a new songbook. Sometimes this style of singing is referred to as Sacred Harp. But as Kelley Libby explains, this shape note singing was different. This story first aired on The Authentic South Podcast by WFAE. In this week's podcast we travel to a West Virginia ramp feed, listen to a gathering of shape note singers, learn how to make Native American Frybread, and more. There's a restaurant in Pittsburgh that uses food to create awareness and discussion about political issues. The restaurant is called Conflict Kitchen, and the chefs say they actually choose their evolving menu based on current events overseas. 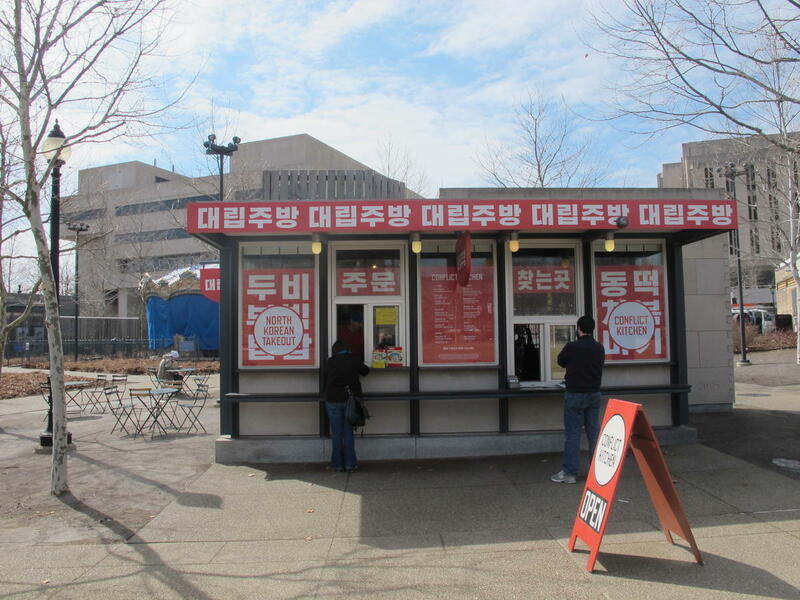 WESA reporter Bob Studebaker went to the Conflict Kitchen to find out what was on the menu - and why they were serving it. These days, there’s one food you can count on at Native American feasts, and that’s frybread. Karenne Wood, the Director of the Virginia Indian Program, gives Lilia Fuquen of With Good Reason the story. Wood also offers cooking tips you can use to make your own frybread. What’s in a Name? John Wyatt helps us with a story of his home. The name of this mountain came from an early settler who is said to have spent a winter or two in a large, hollowed-out tree. What was this settler's name and what is this mountain called? Listen to the show to find out. West Virginia is losing population faster than any other state, with about 3,300 total residents lost from July 1, 2013 to July 1, 2014. That translates to about 0.2 percent total population loss in just the one year. From 2010 to 2014, 39 of the state's counties lost residents, while 16 showed an increase. Southern West Virginia, the coalfields, continues to see sharp population decline, while the Eastern Panhandle and Monongalia County have seen a boom in recent years. Still, the increase of natural gas production in the north central and Northern Panhandle regions hasn't kept some of those counties from seeing a decline in population in recent years. John Wyatt says he remembers that he wanted to leave Appalachia when he was 18. He says the feeling to leave West Virginia started when he was 12, when John F. Kennedy was campaigning in West Virginia. John heard a news anchor use a word he’d never heard before: poverty. John Wyatt came home to West Virginia in the 70s. But he said that the economy in Appalachia today makes the decision even more difficult for young people trying to come back home to West Virginia. It’s nearly impossible to find well-paying jobs. 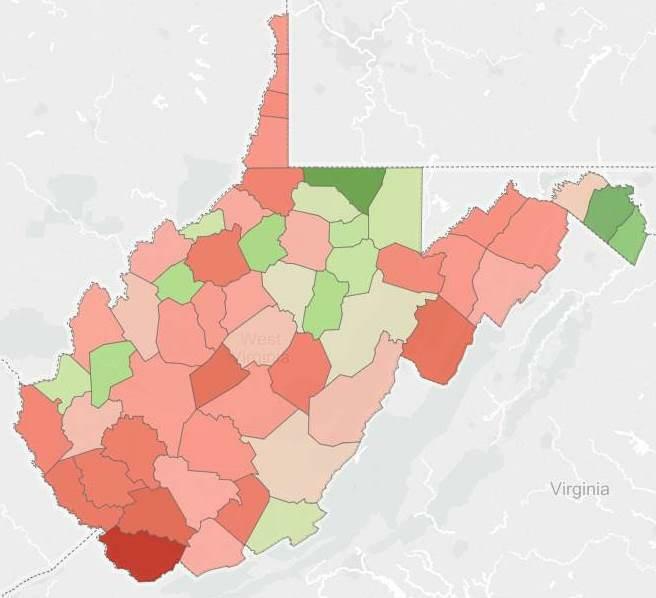 Overall, West Virginia continues to see a decline in population since 2012. From 2010 to 2014, 39 of the state's counties lost residents, while 16 showed an increase. Southern West Virginia continues to see sharp population decline. Click here to see the full version of this map and to find out which counties lost the most population. We have an update on a distillery in West Virginia. 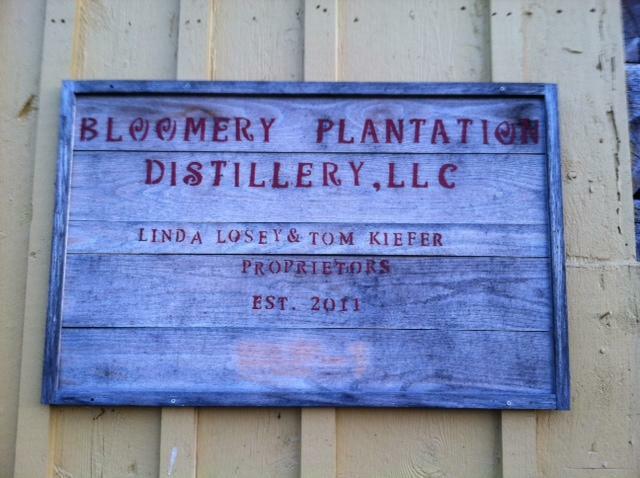 After almost two months since closing its doors, the Bloomery Sweetshine Distillery in Jefferson County reopened this weekend after a successful cry for help to West Virginia lawmakers. Liz McCormick reports. Welcome WMOV, our new affiliate station in Ravenswood, West Virginia. Music in today’s show was provided by John Wyatt, Matt Jackfert and Ben Townsend, our What’s in a Name theme music is by Marteka and William with “Johnson Ridge Special” from their Album Songs of a Tradition.